To collect data on city demographics including child population and household income I used census data acquired at factfinder.census.gov. With this data I used Excel to format columns to best suit my needs including summing data from multiple columns to get the data blocks I needed. For instance, rather than use the default data set for household income broken down into five thousand dollar blocks I created a total of six income brackets to showcase on the map. Child population was condensed to one column inclusive of all individuals seventeen years old or younger. 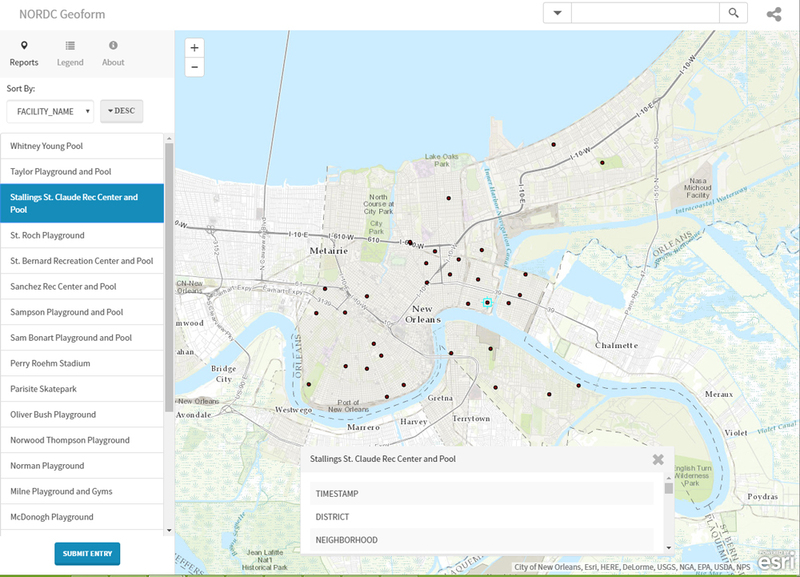 To present the data on a map of New Orleans I used census.gov to download shapefiles for roads, water and a parish outline and a shapefile collected from NORPC for the block groups to match to the demographics data. 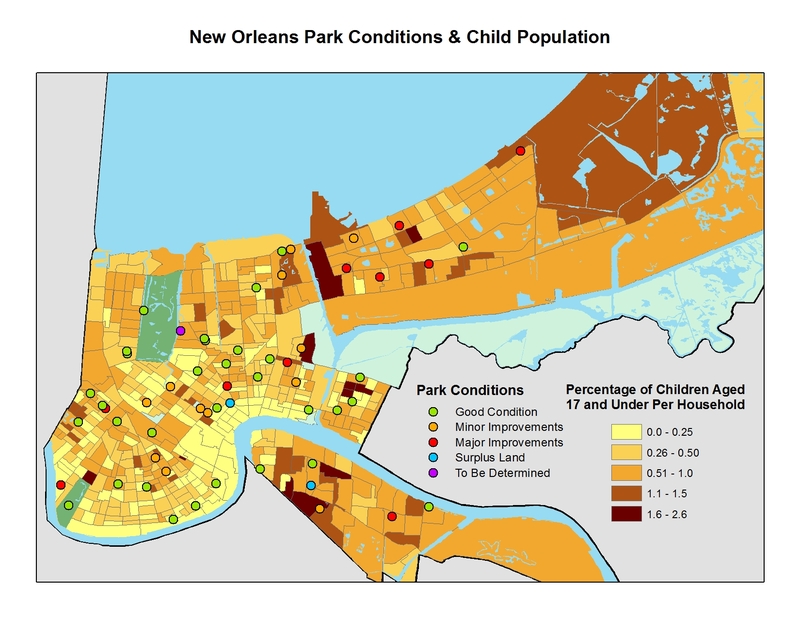 To analyze the parks and collect data the City of New Orleans has created a geoform ran through it’s online ESRI account. 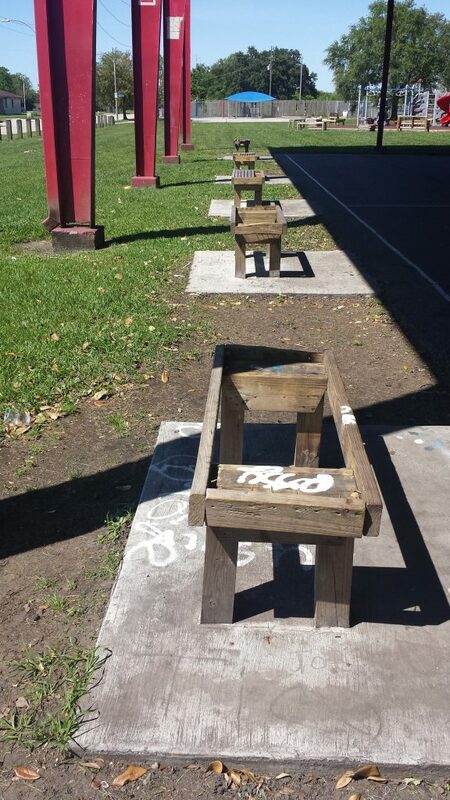 The form includes several dropdowns to report on status and conditions of specific items such as playground equipment, fences and graffiti. There is also a text area for notes and suggestions for items to be included. To collect the park data I go to every park listed and examine its features and report back through the geoform. For the purposes of this project I also assigned examined parks with a letter based off the findings of the park condition. 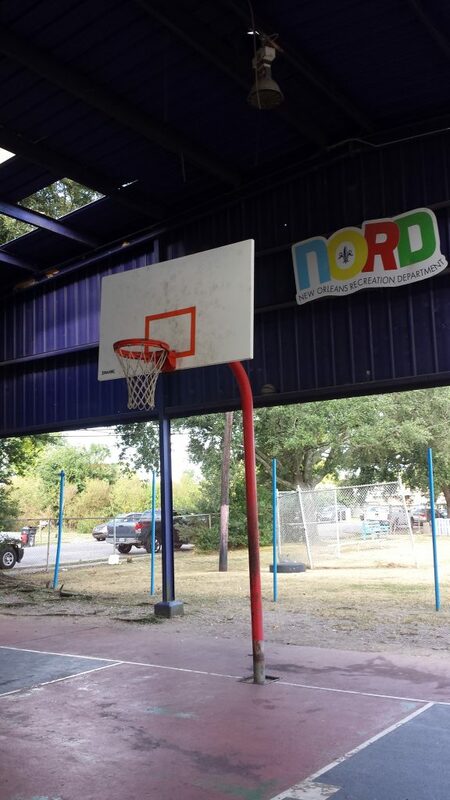 NORDC provided a list of parks to analyze. We cross referenced the addresses provided with the New Orleans Assessor site to ensure all properties belonged to the city. 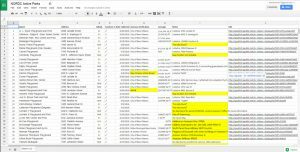 Using Google Spreadsheets we were able to work together in real time to edit the spreadsheet and track progress. 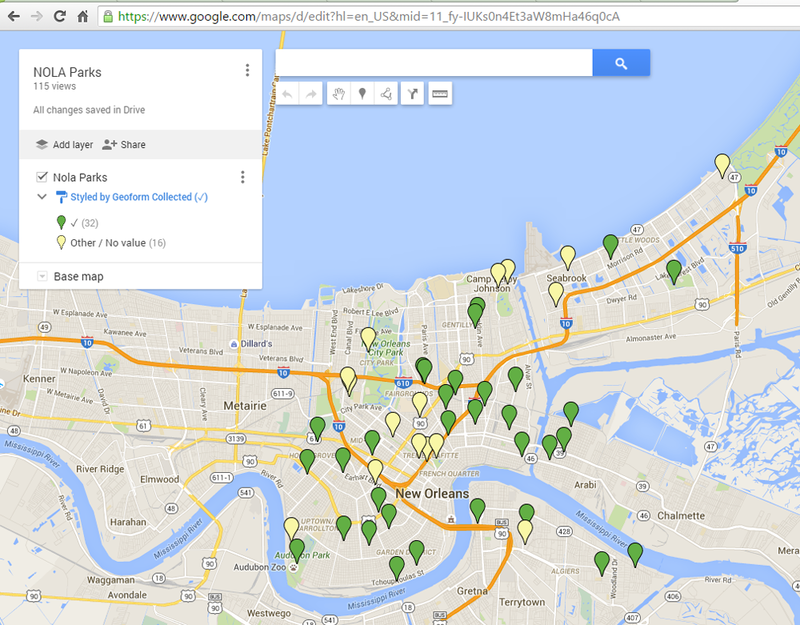 After validating all addresses provided from NORDC a shared Google Map was created to track progress. Light yellow pins were parks that had not been examined. 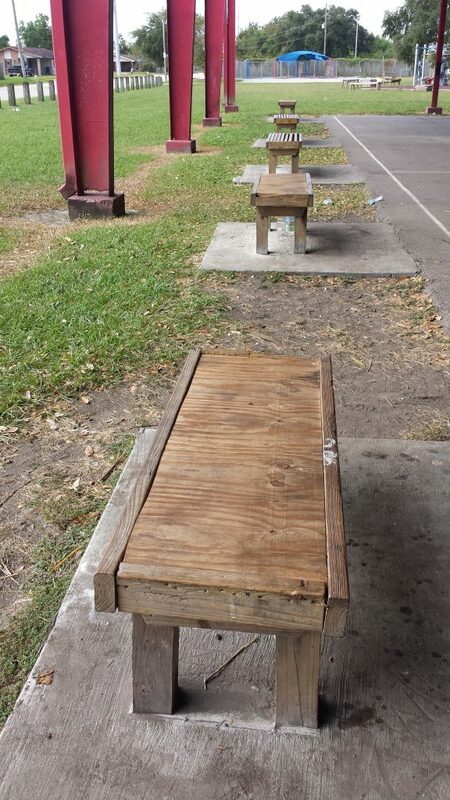 Green parks have had their data collected. Once a park had its data collected we updated the map to reflect new status. Using ESRI Online, the city provided a Geoform to be filled out for each park. The form included a list of amenities to be checked off if existed, and a rating that best described the quality of it. Once the Geoform is submitted the park is plotted on a private online ESRI map. 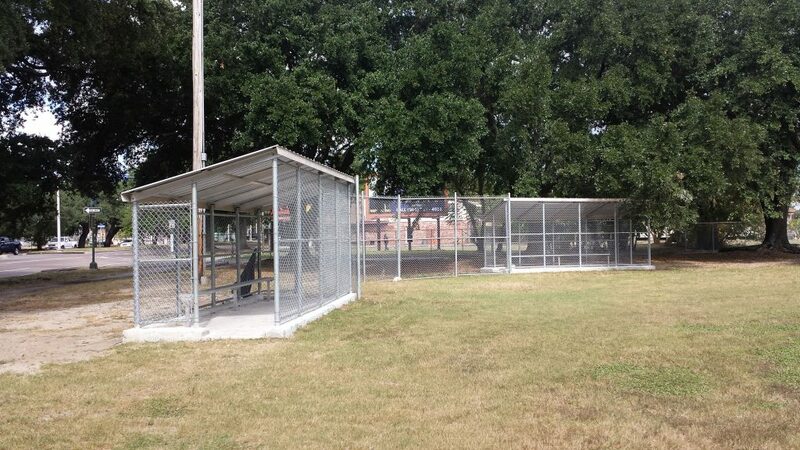 Users have the ability to view and edit collected data on each park. 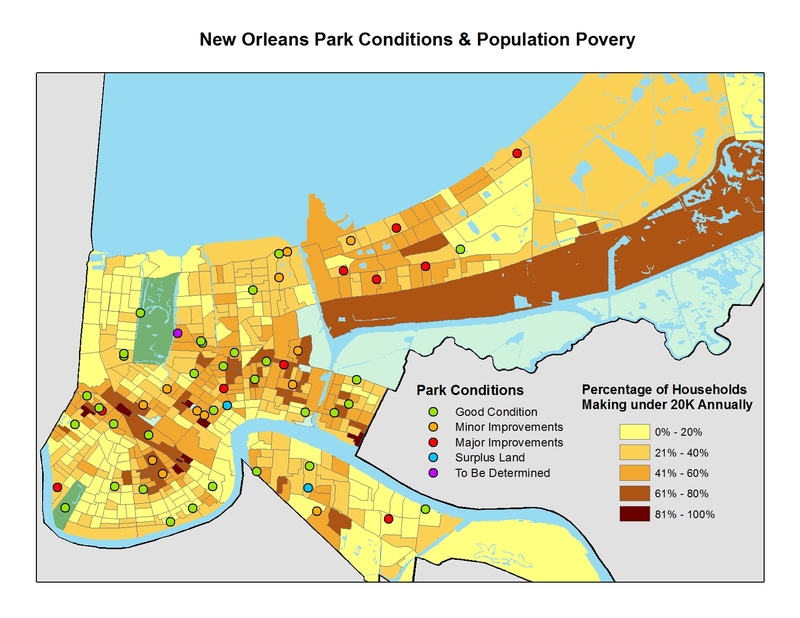 Once the park condition data had been collected I plotted the park locations against population data collected from the New Orleans 2010 census. 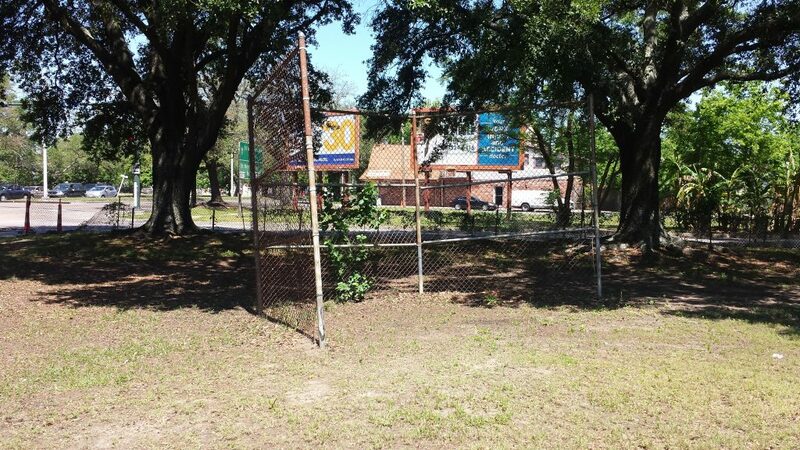 While parks are enjoyed by people of all ages, they are especially needed as a place for children and young adults, particularly in neighborhoods with limited amenities and high amounts of poverty. In October of 2016 I followed up with a visit to a few of the parks I had surveyed. 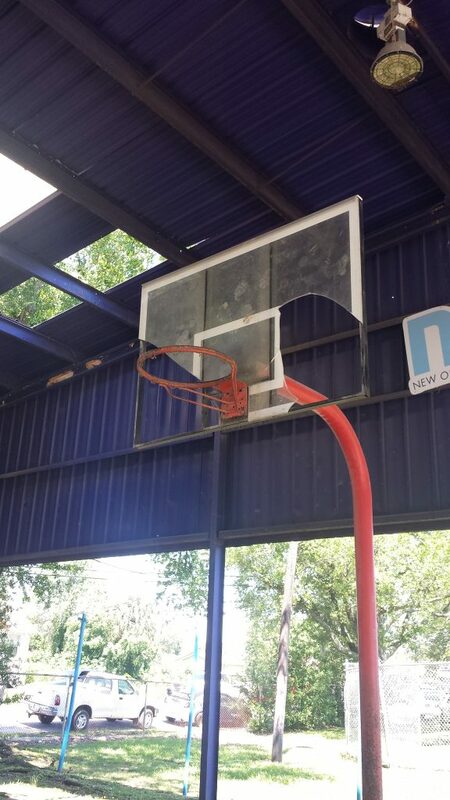 While many parks still had a lot of damage that needed to be tended to some of the parks had fixed or replaced broken amenities.